Langkawi is a gorgeous archipelago in northwestern Malaysia with impossibly beautiful beach sunsets, fine white sand, turquoise sea waters and… duty free shops (yes, the whole main island is duty free!). The island therefore attracts two main tourist categories - the shoppers and the sea enthusiasts. 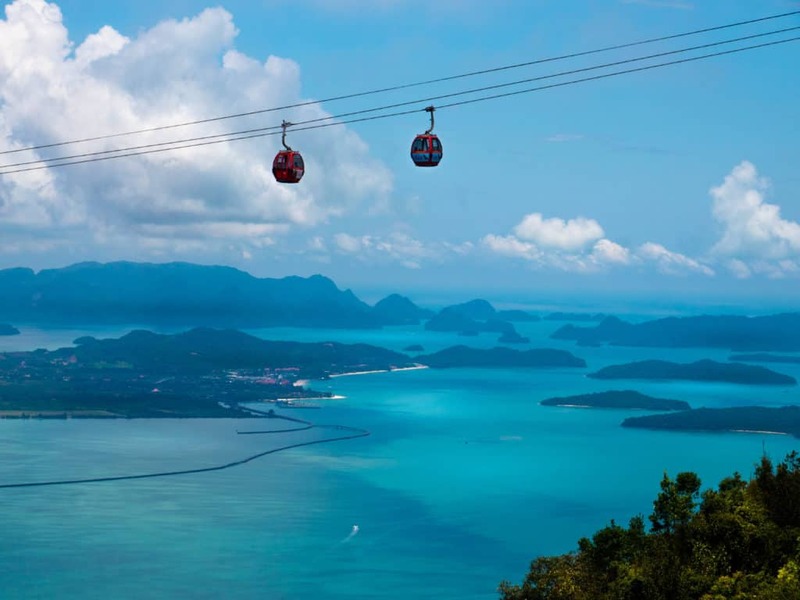 There is, however, one Langkawi attraction which seems to speak to both - the Langkawi Cable Car complex. 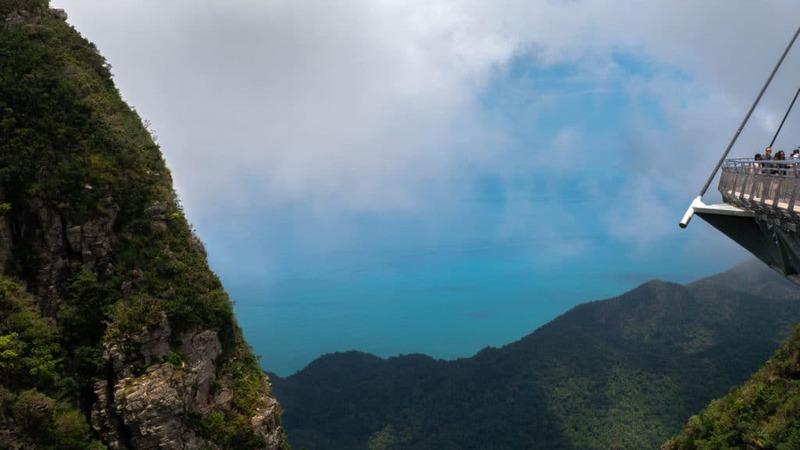 Although we didn’t expect much, seeing the awe-striking views from atop Mt Machinchang and laughing to tears at the 3D Art Langkawi turned out to be the most exhilarating and fun experience we had on the island. The steepest cable car in the world? Before we even came to Langkawi island we knew we wanted to take a ride in SkyCab - the steepest cable car in the world and one of the more popular of Langkawi attractions. Truth be told, David, with his fear of heights, was probably a bit less excited than Darja, but was bravely preparing himself for the challenge. David is amazing like that. As the day of our trip approached, being the responsible & prepared tourists as we aspire to be, we undertook an additional research, this time going beyond Wikipedia (investigative journalism at its best here!). Regretfully we realized that the ride in the steepest cable car in the world would need to wait. With a 60° angle, the champion title is currently held by Rosh HaNikra cable car in Israel. Oh well. The disappointment only lasted a split of a second and got quickly replaced by hope. 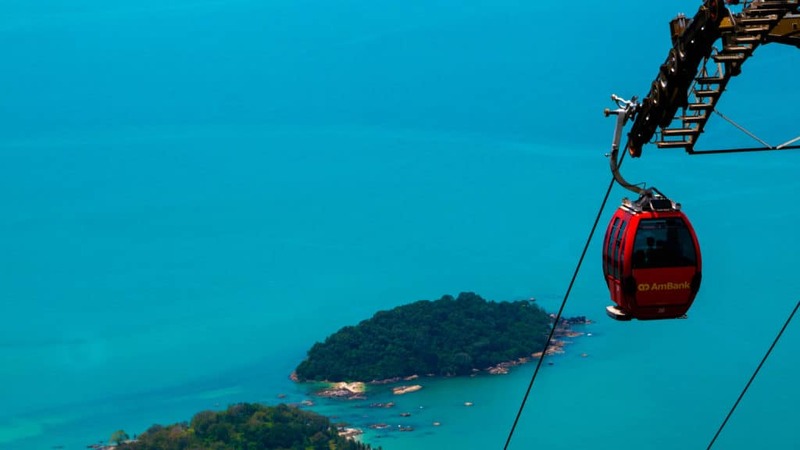 The 42° angle under which Langkawi SkyCab ascends should therefore be a piece of cake, right? No matter who you are, the 15-minute Cable Car ride experience is breathtaking. Either because you will be absolutely stunned and mesmerized by the views or because you will be having mild panic attacks caused by the fear of heights and the soft shaking of the floatings cabins. As a couple we got both - as Darja was over the moon, sliding from one side of the gondola to another taking pictures, David was getting annoyed by Darja’s hectic moves and frantically tried to focus on his breath instead. 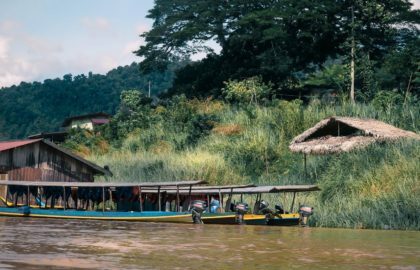 This Langkawi attraction is an unforgettable experience, no matter how you look at it. Hm, how to describe it? Imagine this. 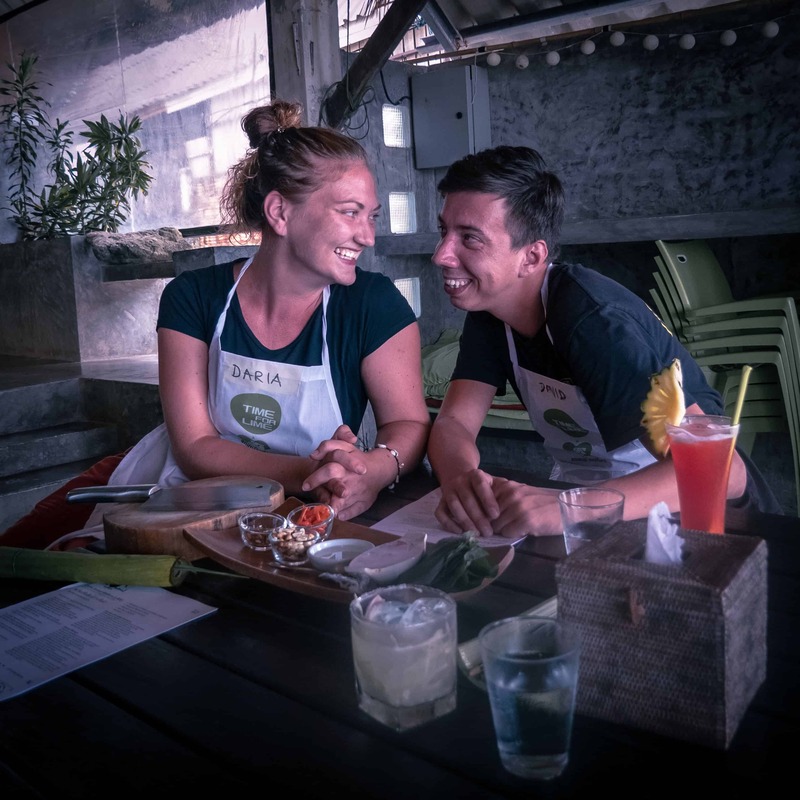 You stand 708 m above sea level having a panoramic view of a fairytale-like archipelago in the turquoise waters of the Andaman sea on one side and a lush green jungle on the other. The wind is gently caressing your hair all meanwhile pushing fluffy white clouds across the horizon. It’s so beautiful, you take a deep breath and try to engrave this moment forever into your memory. A moment of serenity and mindfulness… And then you engage Plan B. Plan B is, of course, snapping hundreds of pictures hoping at least one will do justice to this magical place. It’s an international thing, we all do it. Here’s our attempt to capture the moment. 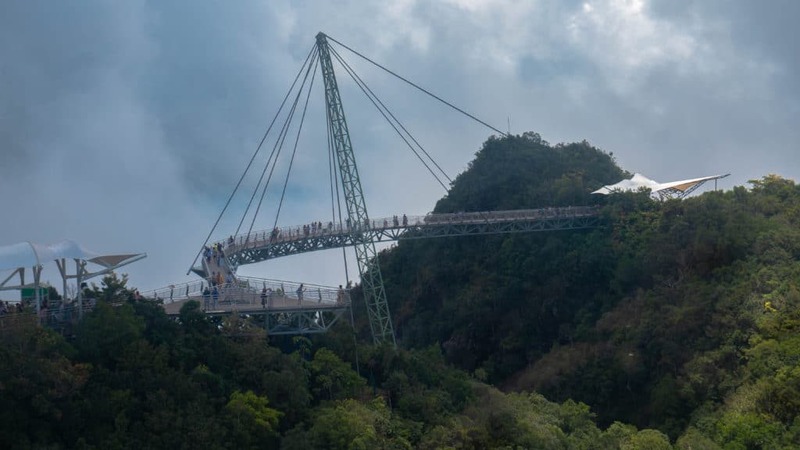 Accessible from the top station, 100 m above ground Langkawi Sky Bridge is “the longest free span and curved bridge in the world” (according to the official website). The world’s ultimate number one or not, the experience of crossing the bridge is definitely a unique one and certainly not for the fainthearted. As you make your first steps onto the suspension bridge you can feel it very subtly swing in the wind. It is a suspension bridge after all. 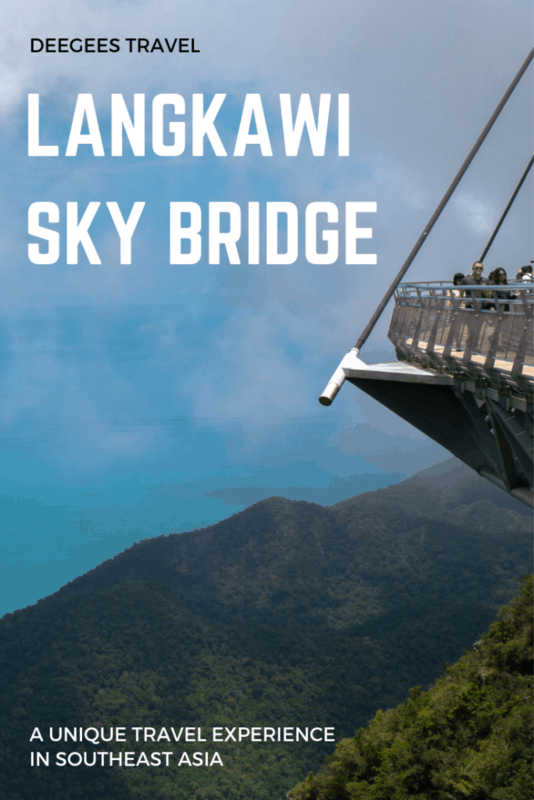 If you choose to continue your journey on Langkawi Sky Bridge you will be treated to the ever-changing perspective as the bridge makes it curves. No matter how much we tried there was no way of taking a straight picture of this suspension bridge. It either looked crooked or not horizontal at all. Go figure. The views of the bridge and on the bridge are amazing. 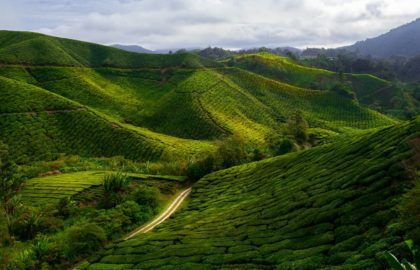 If you manage to battle your fears, this will surely be one of the most unique travel experiences you will have in Malaysia. We almost skipped it. We had gotten what we had come for and were ready to move and have the long-awaited lunch. We were starving. Just as we were about to exit, our minds began to wonder. What does an interactive 3D museum even mean? Would there be paintings in frames, like in any art gallery? Will the 3D museum have a guide telling history of each art piece? How does interactivity come into play then? Curiosity got the best of us and we decided to take a look at this 3D Art Langkawi thing. Food can wait a bit. We soon understood why this Langkawi attraction was so popular! A never-ending series of 3D paintings on the walls with well-signposted spots to stand for the most impressive and believable optical illusions. 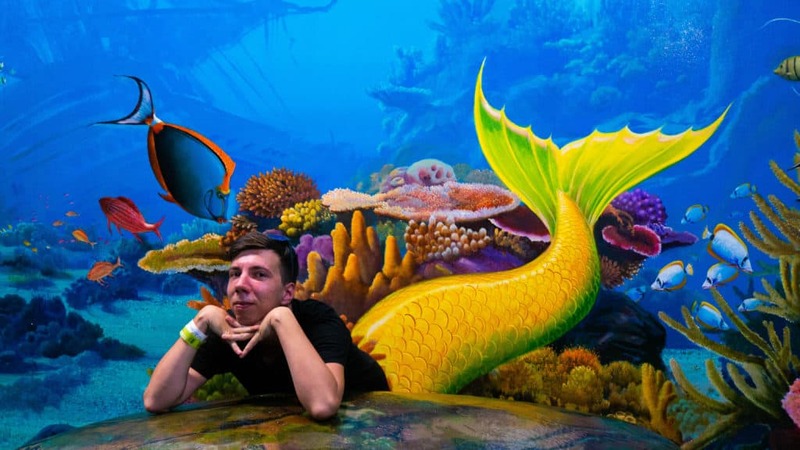 If at first we just walked slowly, giggling at the photos other visitors were taking then only about 10 minutes later we had put all our inhibitions where they belong and let our inner children and creativity take full control of whatever was happening. It is such a refreshing and therapeutic exercise to do something like this. There should be more 3D museums! We laughed so much, our cheeks hurt. Something to be repeated on a regular basis! 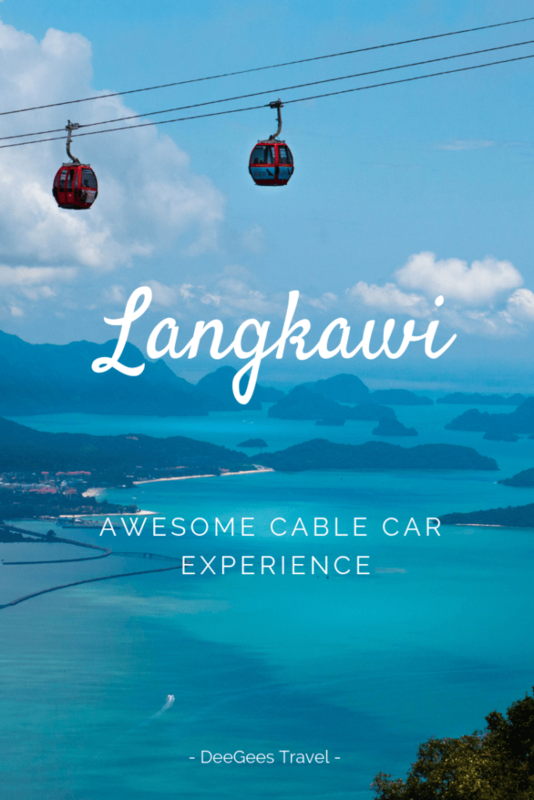 Langkawi Cable Car experience was a great one! If you’re in Malaysia, make sure to visit Langkawi island and this fun attraction. If you do, make sure to share with us your most fun photo from the 3D Art Langkawi! 🙂 And if you’re on Instagram, don’t forget to tag the museum itself - they like reposting some of the funniest pictures. Here's what visiting this Langakawi attraction has cost us. Overall, we have spent 18 days in Malaysia, 5 out of which - on Langkawi island. Check our our blog post about the overall Malaysia trip budget & itinerary. The standard operating hours are 9:30 AM to 7:00 PM. 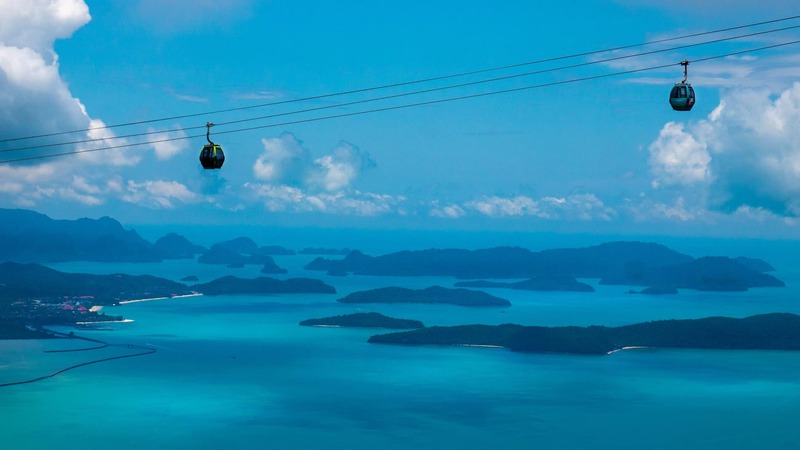 Make sure to check Langkawi Cable Car official website with a very detailed operations calendar for updated opening hours during public holidays and scheduled maintenance. In 2019 the latter is planned for the 1st till the 14th of April. During this period the cable car will be closed for public. This includes SkyCab, SkyBridge and SkyGlide. However, you can still visit other attractions in the Oriental Village, such as the interactive 3D Art Langkawi museum or SkyDome. The prices quoted here below are for international visitors, as locals enjoy a slight reduction. The cheapest and the most basic ticket costs 55 MYR (€11.5 or $13.3) for adults and 40 RM (€8.4 or $9.7) for children. 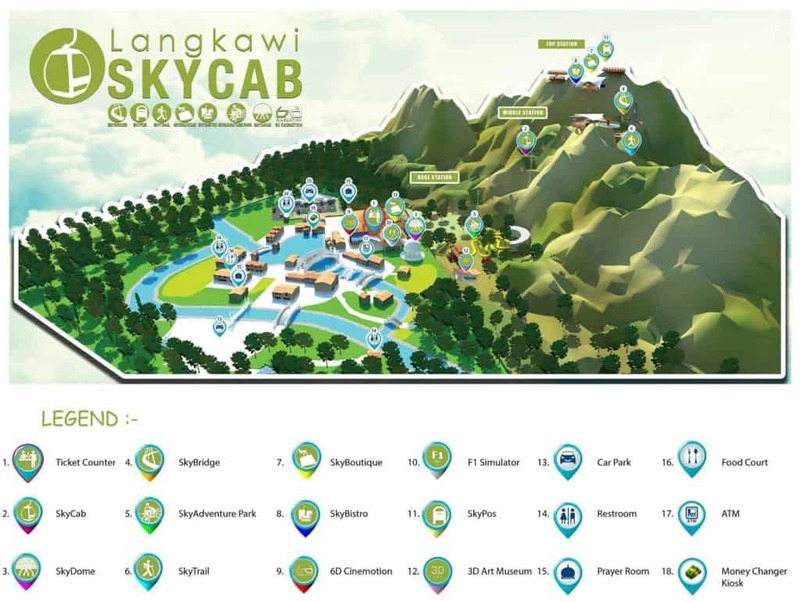 This ticket includes the SkyCab, SkyBridge, SkyDome, SkyRex & 3D Art Langkawi. Depending on the season and the time of the day you visit, you might want to consider buying an express lane ticket. We visited on a late September morning, got a gondola all to ourselves on both ways and opted for queueing a few minutes rather than getting the express lane pass. It was busy, but tolerable. If you want to visit more attractions, there are two possible Combo tickets. Combo A costs 75 MYR for adults and includes Time Travel on top of the basic ticket. Combo B costs 70 MYR and includes 6D CineMotion in addition to the basic ticket. You can further pimp your ticket by getting an express lane pass for additional 50 MYR. The most exclusive and expensive tickets include a private glass bottom queue-free cable ride, complimentary meals and entrance to the core attractions (same as the basic ticket). This luxury costs 550 RM per gondola (3 people). You can easily buy tickets online or upon your arrival at the Oriental Village. 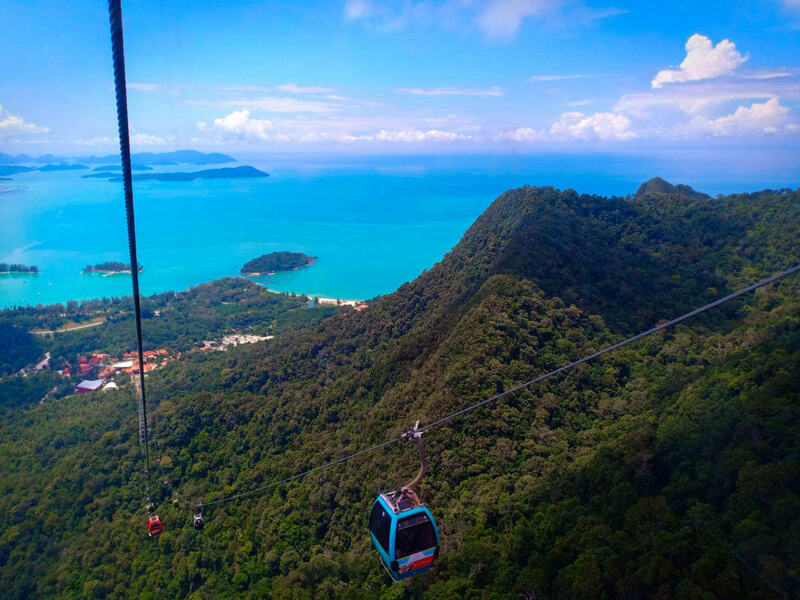 Unfortunately public transport system on the island is close to inexistent, you therefore need to organize a private transportation to get to this Langkawi attraction. If you are comfortable with riding a motorbike, this is by far the most fun yet affordable option to get to the attraction. Traffic on Langkawi island is very tame in comparison to the rest of Southeast Asia, with decent roads and infrastructure. Daily rental will cost you about 36 MYR (€7.52 or $8.69). If a two-wheel vehicle is not your friend, consider taking a Grab or a Taxi. One-way ride should cost something like 26 MYR from Pantai Cenang (ca. 18 km) or 40-45 MYR from Kuah Town. The commonly given advice is to ask your taxi driver to wait for you to avoid being stuck without a taxi. Unfortunately, have no idea how much extra this would cost. Want the comfort of a car but independence from taxi drivers? Get a rental. Daily prices start at 75 MYR. 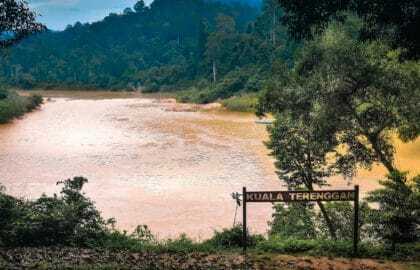 So now you really want to go, but don’t know where on Earth Langkawi is? Don’t worry, we’ve been there too. Langkawi is an archipelago consisting of 99 island in the northwest of Malaysia, Southeast Asia. When speaking of Langkawi, people usually refer to its main island. The easiest and cheapest way to get to Langkawi is by taking a ferry from Penang. The journey takes about 3 hours and costs about 75 RM (€15.7 or $18.1) excluding processing fees. Penang is home to Penang International Airport (PEN) with connecting flight to Langkawi (35 mins by AirAsia), the rest of Malaysia and abroad. 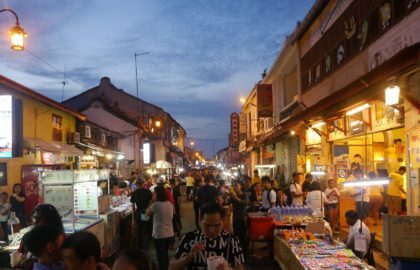 It makes the Langkawi trip easy to combine with seeing the rest of the country or continuing your travels to other countries. For us, Langkawi island was the last stop in our intense but truly memorable two-and-a-half visit of Malaysia. 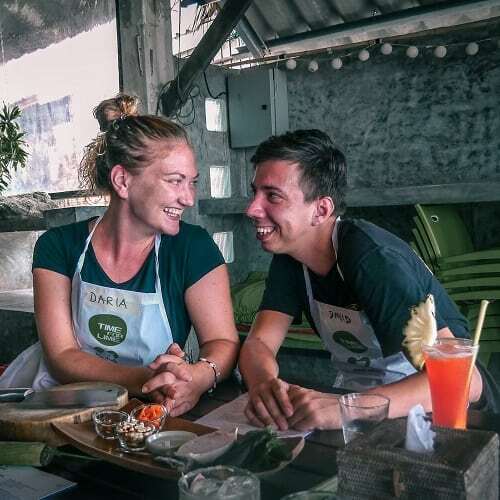 Within a 30-minute flight we were already in Phuket embarking on our new adventures in Thailand - a country with a completely different culture and mentality. But that’s a story for another time. Due to its advantageous geographical location, the weather on Langkawi remains vacation-friendly virtually all year around. The heaviest rainfall is between September and October, although even in this period the rain lasts only a couple of hours and provides a refreshing change to the burning sun. We visited Langkawi at the end of September and had absolutely no restrictions caused by the weather. So grateful for the pictures because I am NEVER EVER EVER going on that thing. Eek! Thank you for sharing your adventures! OMG – my heart skipped just looking at the picture. I’m sure its amazing! Just not for me.